Once again we have another rare bird make it to East Fork State Park’s south beach area, and this time it’s a Red-necked Grebe. At first we heard from a birder who claims of an Eared Grebe seen from south beach, however this was an unconfirmed sighting. Now we have coming from the same area, and from a reliable area birder of a Red-necked Grebe. And by his description he’s correct. Last January I reported on a Red-necked Grebe at Hidden Valley Lake in Indiana during my 100 Species In January Challenge. So these do birds do make it into this area. 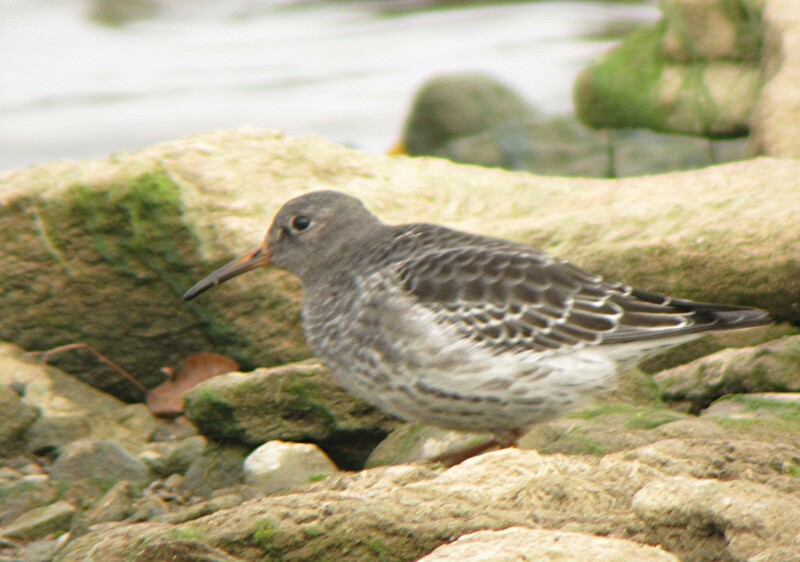 Purple Sandpiper, (Calidris maritima) what brings you 3 down to of all places, Clermont County, Ohio? 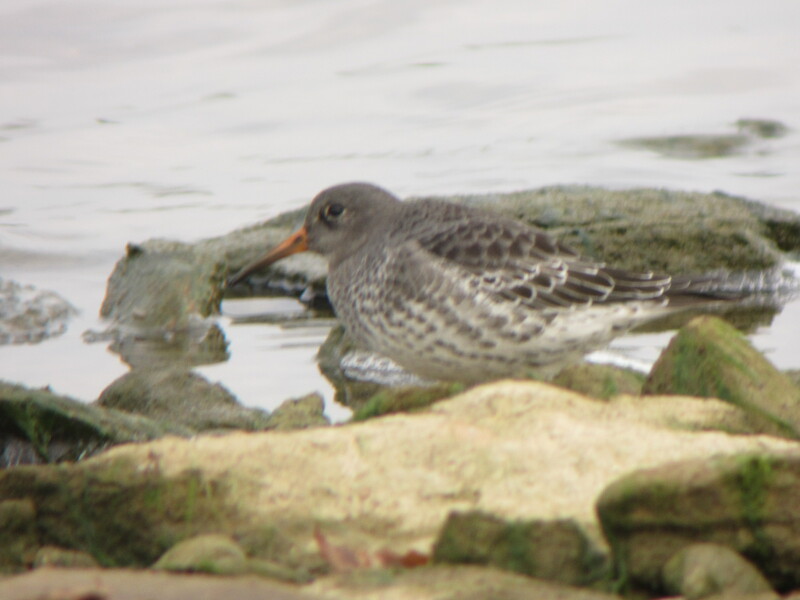 Living in this part of the state we hear of an occasional sighting up on Lake Erie by those weather resistant birders who venture out to spot these birds as they clamor around on the rocky beaches and jetties of Northern Ohio. 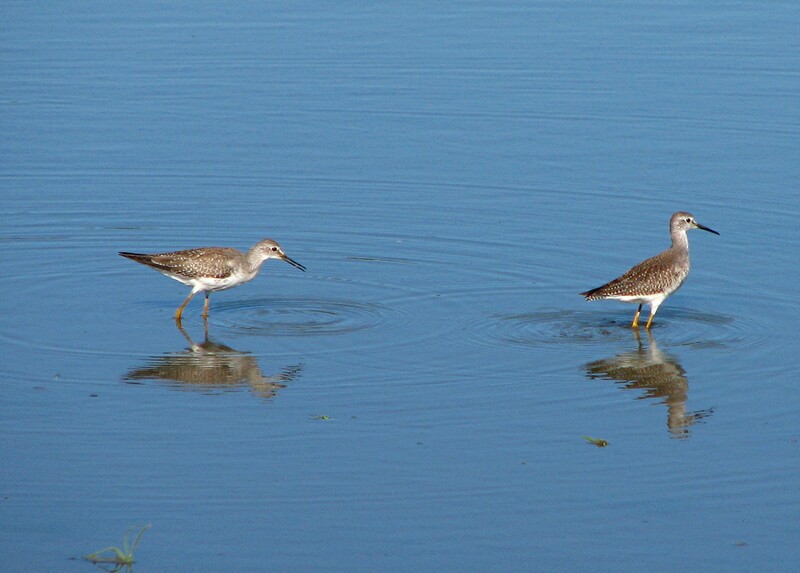 Probably the hardiest of all sandpipers, they breed on the tundra of arctic Canada, and winter along the Atlantic coast from Newfoundland to Maryland. Of all the places to winter over is along the Atlantic coast where I can only imagine how the ocean is, then to be such a small bird foraging for food in such harsh conditions. Which bring me back to my first question. What the hell are you doing in Clermont County at one of our state parks? Whatever the circumstances are, when I reported this sighting yesterday evening I never thought in a million years I would be lucky enough to see them. 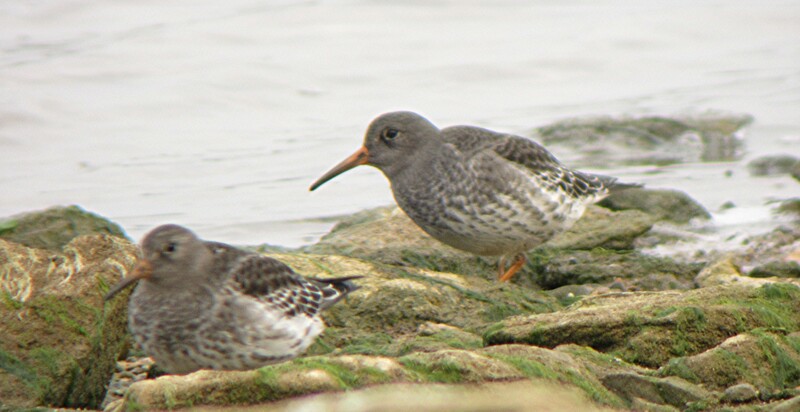 The pictures I saw confirmed that they were indeed Purple Sandpipers, but they wouldn’t stick around for another day, would they? Well you could call it being blessed by the Birding Gods, luck of the Irish (despite my German heritage), or just being at the right spot at the right time, circumstances I wish not to talk about has lead me to my newest addition to the old “Life List”. On a cold raw day like today only hunters or birders would be outside. So as I drove into the parking lot of East Fork South Beach area there was just a few cars parked here and there. However it was the crowd of about half a dozen people that lead me to the western side of the beach. Then I saw 2 Robin sized birds scrambling along the beach. Slowing down my walking pace so not to scare off the birds I made my way over to fellow birder Allan Claybon who was busy as usual photographing the birds. Setting up my rig I started to get some photos of these constantly moving birds. Trying to get focused in on the sandpipers was proving to be really difficult. However I did get a few that proves their identity. And with these birds it’s really necessary to have photo proof. From what I’ve been reading on the internet concerning these birds is that there have been only 3 recorded sightings of these birds inland for the entire state. And being this far south is unheard of. There was reported 3rd one, but I only saw these 2, and getting them into the same frame for this shot was pretty lucky. Out of the 30 pictures I snapped off this one was the best. 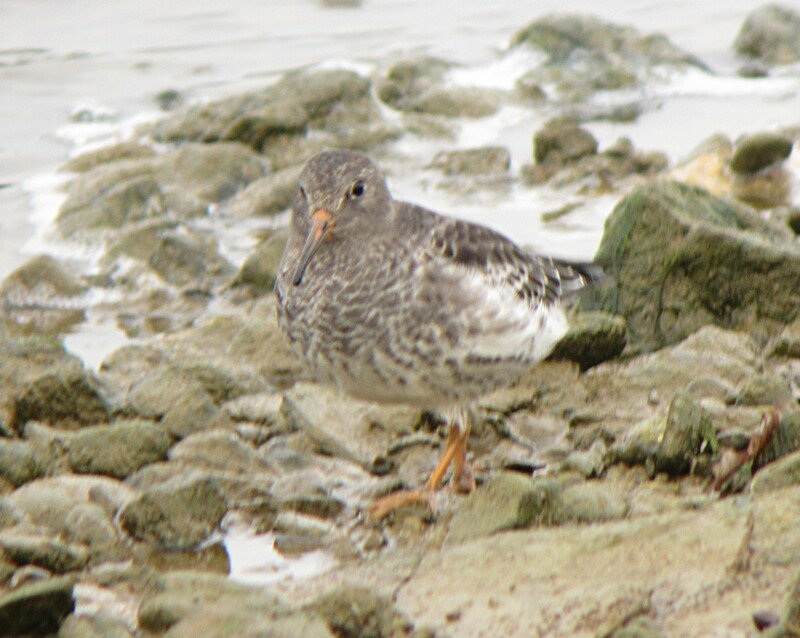 I’ve never seen such a striking coloration in a sandpiper before, and with the pale gray head and neck next to the deeper color on the wings I can see how it comes across as purple. When you get the opportunity to see something as special as this, it’s no wonder why I love birding so much. 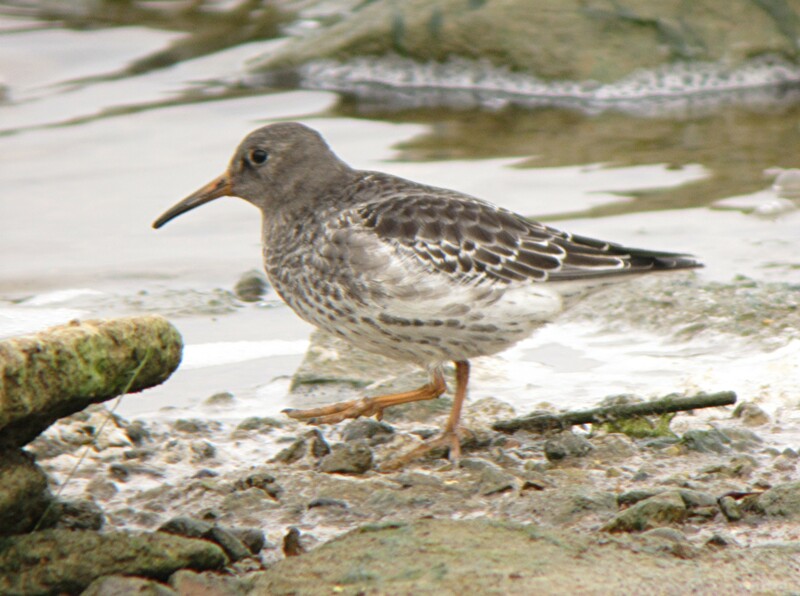 3 Purple Sandpipers were seen today at 3:30 pm at South Beach at East Fork State Park. This would be a lifer for me if only they would sticks around till tomorrow evening. I’ve been lusting after this field guide since I first set eyes on it a few years back when Jon showed up at one of our trips with it. I believe it’s out of print so trying to purchase a new copy was price prohibitive. So I checked the used copies on Amazon and found a fairly decent copy for just under $10.00. And with shipping and handling it came to a little of $13.00 all told. Quite a bargain if you ask me. 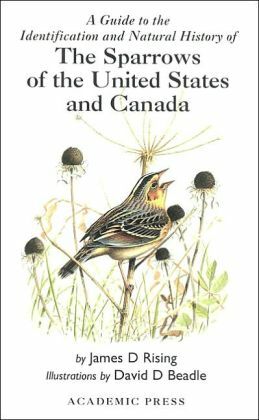 As with most field guides it covers most of the pertinent info that all birders require, however it includes your Buntings, Longspurs, Juncos, Seed-eaters, Towhees and Grassquits. But really impressed me the most about this guide were the color plates. 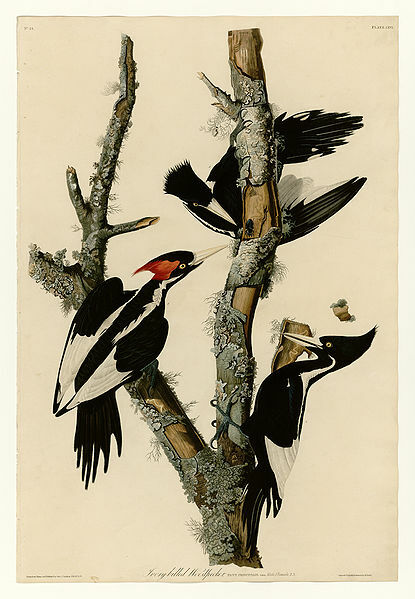 The back section of the book is entirely set aside of some great artistic interpretations of these birds. And being a huge fan of the artists palate I was instantly drawn to this book. And after several months of procrastinating, it’s all mine. So if you love those “Little Brown Birds” as much as I do, this might be the book for you. I fell victim to my own preaching when going out into the field this time of year. Check your dates for hunting. Yesterday Jon and myself found this out as we ventured 55 miles away to Deer Creek Wildlife Area. I’m usually up to date on shotgun season, but I completely forgot about black powder season which was this weekend only. So when we ran into a hunter in the area we wanted to search for those skulking Sparrow species, needless to say we were kind of bummed. So we moved on to another location to give this guy a chance to shoot a deer and move on. 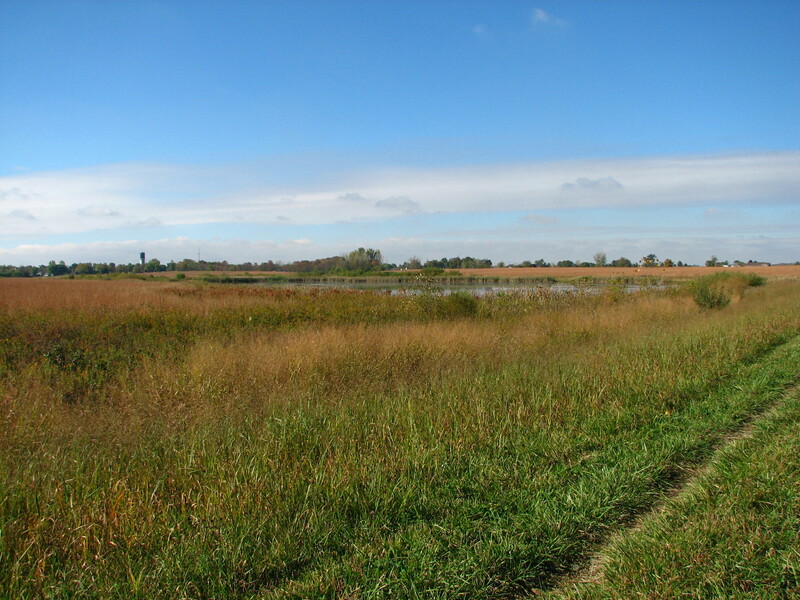 At 4,220 acres this is a massive area of rolling grasslands with pockets of trees and bodies of water of various sizes. We arrived at 8:00 am with hopes of catching either Nelson’s Sharp-tailed and LeConte’s Sparrows while they’re most active. From the location where we parked off a side street in New Holland Ohio, the lay of the grassland spread out in front of us. A sea of grass as far as the eye could see. This is some of the best sparrow habitat I’ve ever been to. Remember I’ve not been to the wide open expanses of the West, so take into consideration my limited travel. With the hunter deciding for us to move locations out of consideration we headed north along the road that skirts the western border of the wildlife area. 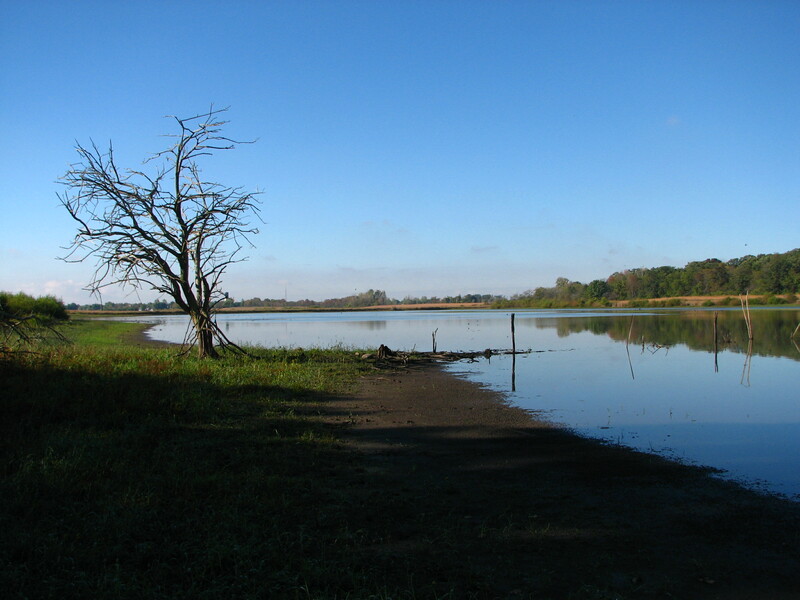 There is a dike that crosses the wildlife area and that was where we parked the car and headed out on foot. 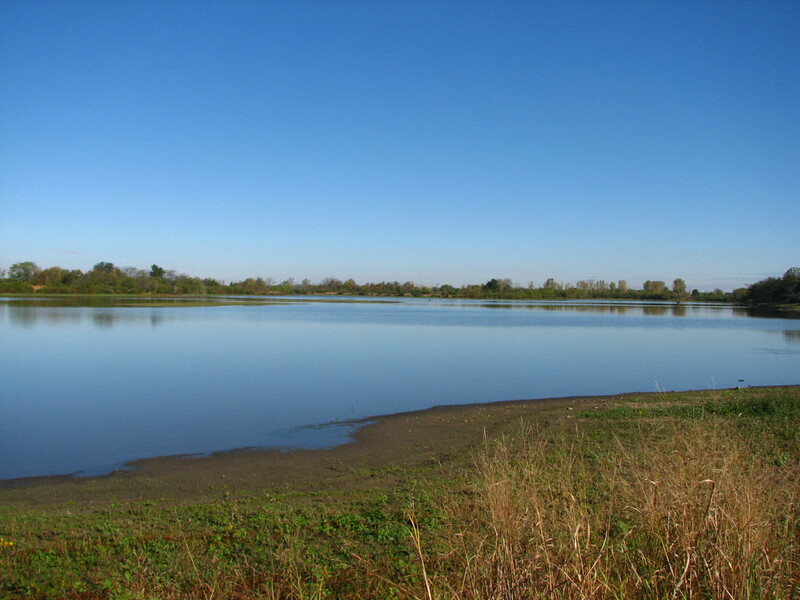 we made our way along the earthen dike about 1/2 mile before when we climbed down and followed a run down foot path that led into the brush towards this large body of water. Moving in this direction we were heading back south towards our original destination. Looking south from where we came in on the north shore. We were happy that the edge of the lake wasn’t too muddy and walking was pretty easy and sure footed. After coming upon this lake we regretted not bringing along our spotting scopes. This a view looking north from the far southern edge. We came upon this lake from the north and moved along it’s eastern edge towards the other end. One of most numerous birds on the lake were Tree Swallows. Quite literally there were hundreds of Tree Swallows feeding over the water. 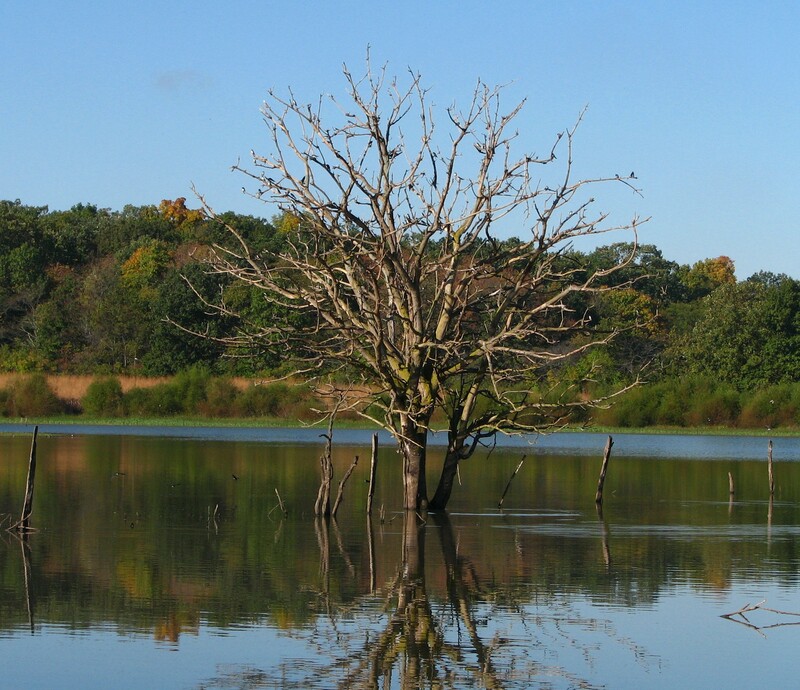 As we moved further along we noticed a dead tree that was sitting in the lake close to the edge where the Swallows were roosting. As the sun reflected off the backs of the Swallows they light up like a Christmas Tree. You have to look real close to see all the Tree Swallows. 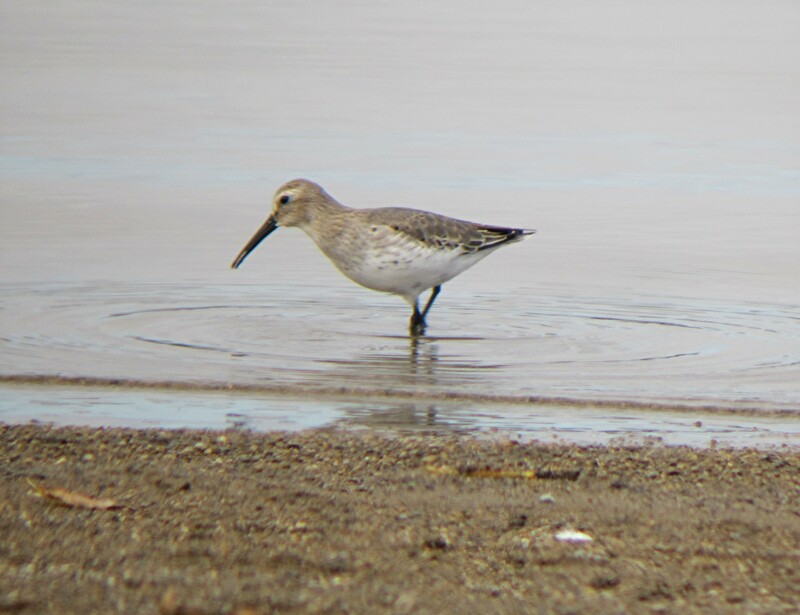 We found some pretty good shorebirds, and were pleased to see a Stilt Sandpiper and 2 American Golden Plovers, and both Yellowlegs. At the southern end we saw a mowed path that we hoped led us out to the road that we parked the bird-mobile on. Yellow-rumped warblers were everywhere along this stretch as by now they arrived in massive numbers to the area. After a 30 minute walk we arrived back at the car and made for our original location to hunt for the birds we came here for. As we started to walk in we meet up with Robert Royse who I’ve been in contact with concerning this area. He was leaving the field after photographing several Nelson Sparrows. So they were still being seen, I asked? Yes they were, you just have to be patient. We moved towards the area in question and finally made our way through 5 foot tall grasses to get to the pot hole. This depression in the earth was holding water with plenty of cat-tails growing along the edge. And growing up to the cat-tails was the tall grass. Moving through this stuff wasn’t easy, and trying to be quiet was impossible. We moved as close to the cat-tails as possible without falling into the water. Footing was difficult with thick vegetation under foot, which made walking an anxious, always looking down procedure. The last thing anyone wanted was to step into a deep hole and break and ankle. We’d walk 20 feet and stop and “pish”. Then repeat as we moved along the edge. There was hardly any wind. You’d hear a “chip” note. Catch movement out of the corner of your eye. Just another Swamp Sparrow. Another slight movement just 6 feet in front of me. I motion to Jon to watch this area. There is a bird moving around, but hidden. It shows itself. Jon whispers “Nelson’s”. I shift to my left one side step. There he is. Classic field marks of a Nelson’s Sharp-tailed Sparrow. We continued to bird the area but never found another Nelson’s Sparrow. With the afternoon wearing on we headed back to the car and headed off towards the beach at the lake. Not really knowing where we were going it took a while to get there. As we approached the beach it appeared to be pretty deserted except for a family. We set up our spotting scopes and scanned the water and the edge of the beach. Other than a few dozen Ring-billed Gulls, the only action were a handful Least sandpipers and 1 Dunlin feeding along the waters edge of the beach. We finished off this trip in the lobby of the lodge at the resort enjoying a the days accomplishments over 2 cold beers. Once again thanks to our elected officials the government shut down will effect my trip this Saturday to Ottawa NWR. I missed last years auto tour and was anticipating making the trip with Jon. So with a little adjusting of our schedules we will be going instead to Deer Creek State Park. However like last year when I went there I visited the wetlands towards the southern end of the park where all the elusive Sparrows like to congregate. We”re talking about LeContes and Nelson Sparrows. The one that take a lot of patience to get a decent view of.